The beauty and charm of this cottage has to be experienced to truly be appreciated. -Please note the our rate is only $200 per night the additional charges are from HomeawayStayz or to cover there fees. -Breakfast provided - special dietary requests will incur a fee. will need to supply your own. -We can arrange an antipesto platter for your arrival (at additional cost a minimum 4 days notice). -Pleasant short walk to general store/café, hotel, sports ground, kids area, tennis courts and netball rings. 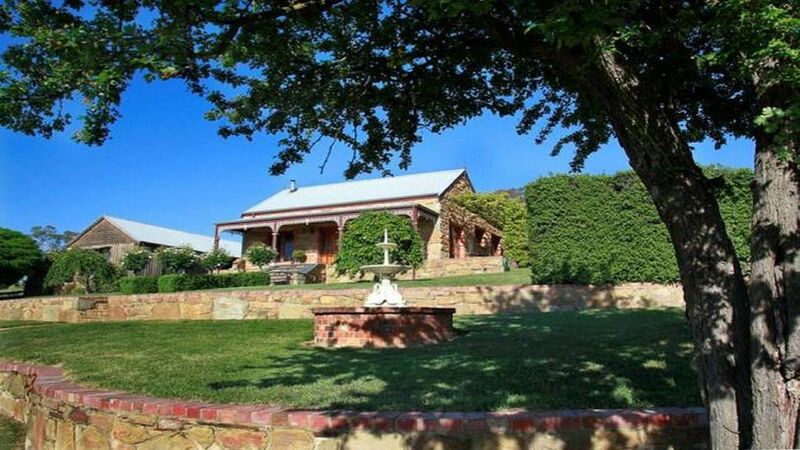 -Only 10 minute drive from Castlemaine, 15 - 20 minutes Daylesford and 1.5 hours from Melbourne. - A flat rate of $50 per night for extra room (not per person) - if 2 people and want 2 rooms you need to select 3 people staying, if 4 people staying you need to select 3 people so this activates the 2nd bedroom please inform the owner of exact amount of people staying so the right amount of provisions are provided - please contact owner if there is any questions. - Minimum 3 night stay for long weekends, 4 night stay for Easter and minimum stays also may apply for peak periods. over this age the second bedroom is required. - Full terms and conditions are available at the Cottage and on website. - LAST minute bookings, total payment must be made on arrival including your bond/deposit before your stay otherwise your stay will be refused. - Any amounts charged from the refundable damage deposit money will incur to a 1.5% merchant fee, this fee is a Homeaway Stayz fee (Unfortunately this cannot be absorbed by the owner). Laundry Powder, stain remover, ironing aid, iron, iron board plus other cleaning products supplied. Off street ample parking including undercover. 2 person spa with shower over. Breakfast goodies provided initially, if any extras needed you will need to supply your own. Absolutely gorgeous. From the cozy fire to the luxurious spa bath. Everything we could have needed was thoughtfully provided. A very clean property with thoughtful touches such as history of local area booklet and a range of teas and little snacks. Location is in small town, but short walk to local cafe with reasonable coffee and Daylesford and Castlemaine are not far away. Fantastic view from lounge and dining rooms. We arrived to a warm house with the fire on. Amazing property. Thankyou for all the extras you included in the kitchen and bathroom ?? Absolutely breathtaking! Peaceful with panache! When can we come back? This lovingly-constructed replica of a miner's cottage nevertheless has all mod-cons, and managed to be BOTH warm and cosy AND spacious. The owners have excelled themselves with the small touches, too, from the laundry powder and ironing aid in the laundry and the bathroom toiletries to all the little extras for cooking in the kitchen and larder ... a sense of generosity and quality abounds. And did we mention the view ... and the serenity ...? SIX stars!